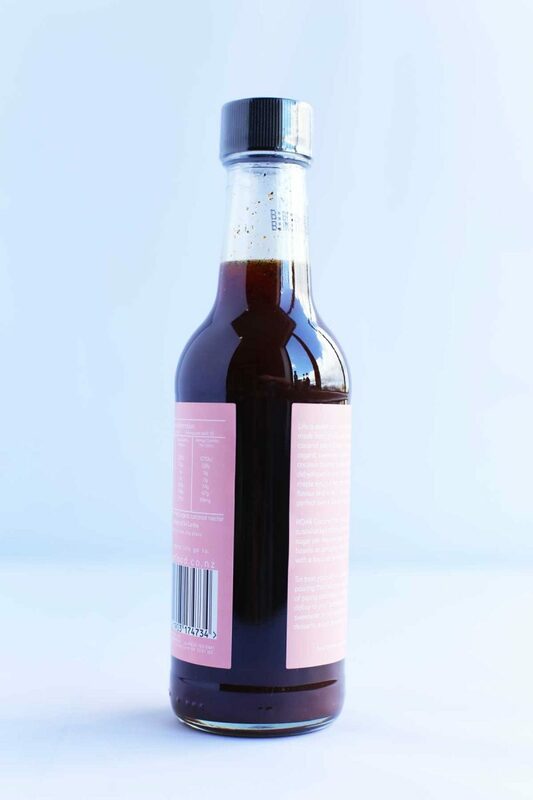 Use as a natural sweetener as a replacement for sugar, maple syrup, agave nectar or honey. Great on pancakes and waffles, adding a dollop to your breakfast bowl or in your morning coffee, smoothie, in desserts, salad dressings and more. The coconut nectar is taken from the coconut blossom and then is dehydrated down to a thick syrup. Coconut nectar is a natural sweetener that is completely unrefined, meaning it contain macro and micro nutrients. It is also much lower in fructose than honey, maple syrups and agave nectar. coconut blossoms before being dehydrated to a similar consistency to maple syrup. It boasts a rich, caramelly flavour and is very pourable, making it perfect over a stack of pancakes! 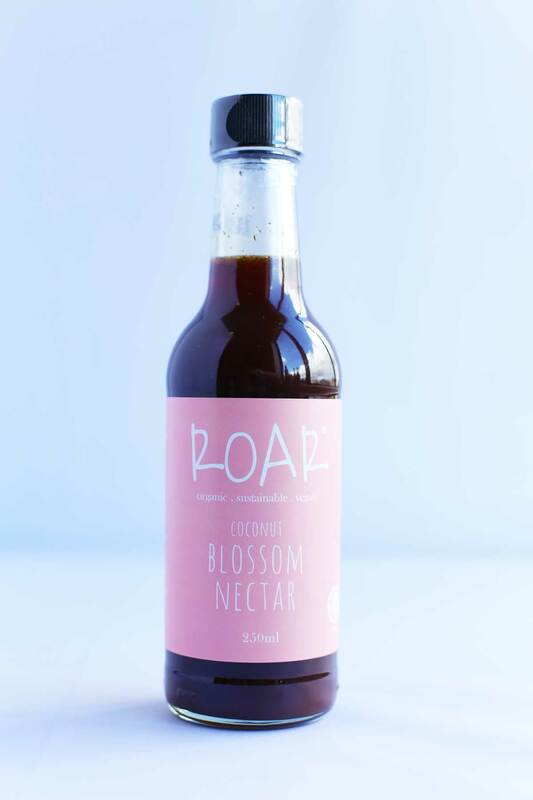 ROAR Coconut Nectar is certified organic, sustainable (coconut trees produce more sugar per hectare than sugar cane) and boasts an amazing treacly flavour, bursting with a bouquet of tropical fruit flavours. Pour this delicious nectar over a stack of piping pancakes or waffles, add a dollop to breakfast bowls, or use as a sweetener in hot drinks, smoothies, desserts, salad dressings and more.